When you need a little extra help in securing your AirDome canopy, our specially-designed ratchet kit will be there to set your mind at ease. The Vitabri EZ Heavy Duty Ratchet Kit includes an automatic lock and release rope as well as a ratchet designed to hold up to 250 lbs. of tension. 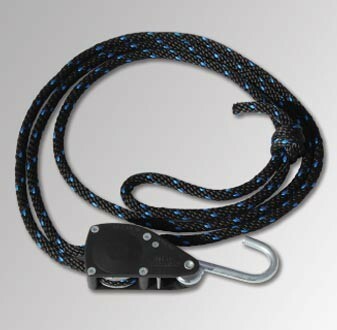 Use the heavy-duty ratchet and rope for additional security when the elements get harsh, but pack them away easily when the event is done. The ratchet is easy to manage on your own and makes setting up your AirDome a breeze as the system does the tightening work for you. Outdoor events have never been easier!